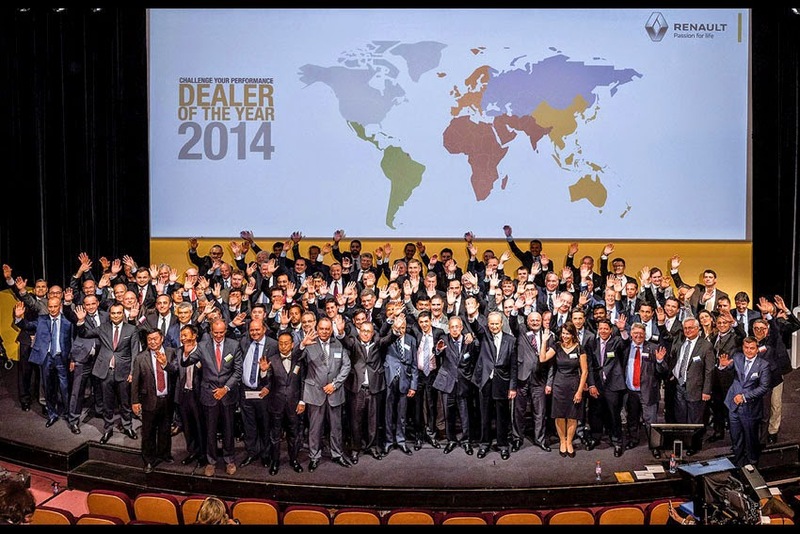 More than 2,000 Renault group dealers took part in the 'Dealer of the Year' challenge across 35 countries in 2014. Jérôme Stoll, Chief Performance Officer and Executive Vice-President, Sales & Marketing, hosted an award ceremony for the 100 best dealers. Each year, the 'Dealer of the Year' challenge recognises the Group's best dealers in terms of sales volume for new vehicles, spare parts, accessories and service contracts; profitability and service quality in sales and aftersales. An award ceremony for the winners of 2014 was held at the Renault Technocentre in the Paris region. "Renault's success and that of its dealer network both depend on the quality of service we deliver to our customers. If we're not up to the level of customer satisfaction expected of us, our customers will go to the competition. All the hard work we have put into releasing attractive products will be worthless...," Jérôme further added.